LOS ANGELES, February 12, 2018	(Newswire.com) - The Michaels Organization announced today that brand new affordable housing it is developing in partnership with the Housing Authority of the City of Los Angeles (HACLA) as part of a comprehensive revitalization of the Jordan Downs public housing community will benefit from more than $13 million in grant funding. The grant, part of $35 million in funds received by HACLA from California’s Cap-and-Trade program, will provide funding for 81 new apartment homes, affordable to families earning up to 50 percent of the area median Income. Michaels will also receive $50,000 in additional grant funds to support neighborhood bicycle safety programs and $1.3 million for a new neighborhood park that is being created on the site in the important and historic neighborhood of Watts. “Michaels Development Company is privileged to be HACLA’s private-sector partner on this critical redevelopment effort, and we are grateful for the support of so many community partners who have worked so hard to bring this substantial investment to the Watts neighborhood,” said Michaels Development Company Vice President Kecia Boulware, who is the lead developer for the second and third phases of new housing being developed on the Jordan Downs site. “We are committed to transforming the vision of the Watts Community into reality by creating new job opportunities as well as high-quality, sustainable, affordable housing and additional public spaces that will benefit the entire neighborhood,” Boulware said. California’s Cap-and-Trade Program includes an initiative known as the Transformative Climate Communities Grant, which provides funding for community-led development and infrastructure projects that achieve major environmental, health and economic benefits in California’s most disadvantaged communities. The program empowers communities most impacted by pollution to choose their own goals, strategies and projects to enact transformational change – all with data-driven milestones and measurable outcomes. As a strong partner to the Housing Authority and a key player in the application process, Michaels’ developments are slated to receive the largest portion of the grant’s funding. Michaels spearheaded much of the application process, which involved collaboration with a wide variety of community stakeholders, local nonprofits and Los Angeles businesses working in the area. The group, known as the Watts Rising Collaborative, has been working to modernize Jordan Downs and bring significant jobs and investment to the Watts community. The Watts application was the highest-scoring of all six applications submitted for the Transformative Climate Communities grant and was selected over two other applications from the City of Los Angeles. 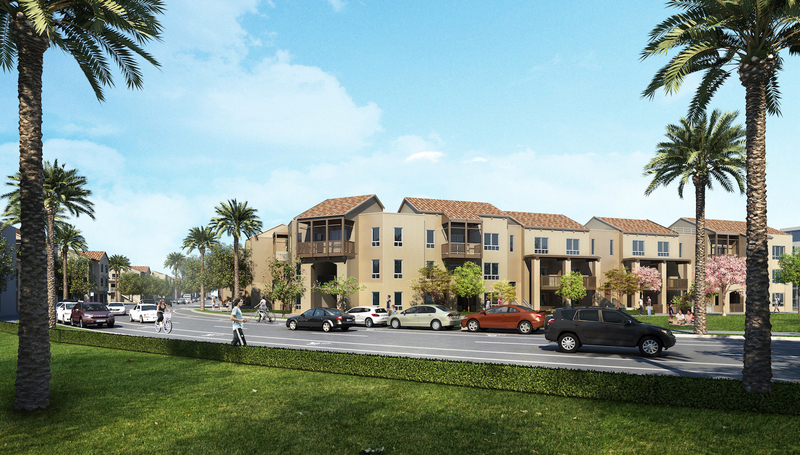 Michaels plans to break ground later this year on the first of the next two phases of housing slated for Jordan Downs. The first will bring 135 apartments in a mix of one-, two-, three-, four- and five-bedroom layouts, in a combination of townhomes and flats. The architecture style of the three-story buildings will be in the Mediterranean tradition, with landscaping that is drought-resistant throughout. The buildings, which will be south of a new Century Boulevard extension, will be designed to a LEED Silver environmental standard. Apartment amenities will include in-unit washers and dryers, air conditioning and energy- and water-saving appliances and fixtures. Approximately 50 percent of the new apartments will be reserved for existing Jordan Downs residents. The first phase of the Jordan Downs Revitalization is already underway with construction of 115 affordable apartments developed by BRIDGE Housing, which will be followed by the 135 new apartments Michaels is developing. Along with the new housing, the revitalization will bring more than 120,000 square feet of new retail space being developed by Primestor, as well as parks, public spaces and new streets designed to connect the Jordan Downs housing community to the wider Watts neighborhood. About The Michaels Organization: Michaels Development is an independent operating company of The Michaels Organization, a family of companies whose mission is to bring comprehensive solutions to communities that create housing that jumpstarts education, civic engagement and neighborhood prosperity. Serving more than 140,000 residents in 370 communities across 35 states, D.C., and the U.S. Virgin Islands, The Michaels Organization is a national leader in residential real estate with full-service capabilities in development, property management, mortgage finance, construction and tax credit syndication. Learn more at www.TMO.com. The Michaels Organization is a national leader in residential real estate offering full-service capabilities in development, property management, construction, and finance. Change emphasizes the impact of Michaels' expertise in residential development, management, finance and construction and introduces new visual identity.